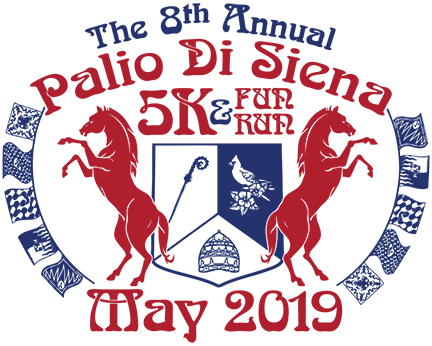 Mark your calendars for the 8th Annual Palio di Siena 5K and Fun Run! Join us on Friday, May 3, from 6:30-8:30 pm at St. Catherine of Siena Church (1020 Springvale Rd, Great Falls) for our pre-race pasta dinner starting at 6:30 pm! Please consider competing as a "contrade" by forming a team. You will be assigned a mascot and flag of one of the neighborhoods in Siena, Italy that competes in the annual horse races.